When starting a new diet, trying to remember and figure out what you can and can’t eat can be quite difficult (and frustrating!) When you’re eating a ketogenic diet, you’re filling your body with nutrition. The elimination of processed foods and sugar is one of the best things you can do for your health in general. Processed foods are filled with toxic preservatives that do nothing for you but rob you of your good health. Fresh is always better. When purchasing anything at the store, get into the habit of reading labels. They can be very sneaky and revealing. Keep your carbohydrates under 50 grams a day, and you’ll feel the difference. A stricter ketogenic diet will contain approximately 20 grams of carbs a day. 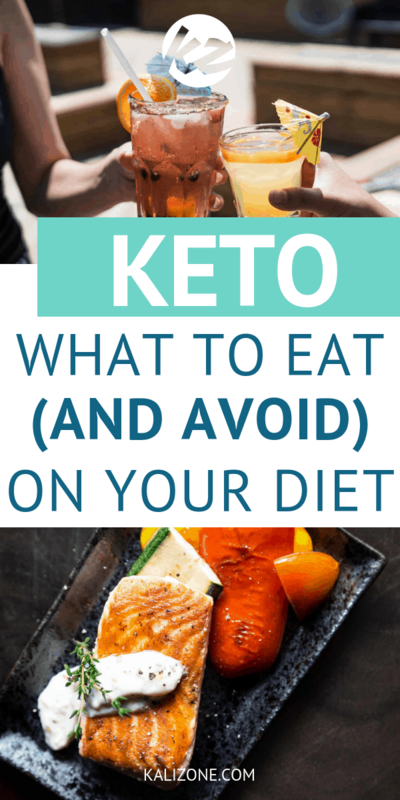 Here is an overview of the the kinds of foods you can eat on a ketogenic diet – and which foods you should be avoiding. Everyone knows about the healthy fatty acids, vitamins and minerals in seafood. Very few of us eat enough. Shrimp and crabs are carb-free, and other shellfish contain only a low amount of carbohydrates. Fatty fish, such as salmon and sardines, are highly recommended because of their high omega-fatty acid content. Fish truly is brainfood. Enjoy at least two servings or more of seafood a week on the keto diet. Can a diet that recommends unlimited green, leafy vegetables be anything but healthy? They are extremely low in carbohydrates and bursting with vitamins, antioxidants, and the fiber we need daily. Green vegetables such as broccoli, spinach, and kale are believed to decrease the risk of heart diseases and cancer. Cauliflower and turnips can be prepared to look and taste like rice or mashed potatoes, with much less starch and carbohydrates. “Starchy” vegetables, such as potatoes or beets do have carbs and should be limited (or entirely avoided) on the keto diet. There are cheeses to satisfy everyone’s taste. They are high in fat content for energy, high in protein and calcium, and low in carbohydrates. Yogurt and cottage cheese are a great source of protein and calcium. They are low-carb and fit well into the ketogenic lifestyle. Be sure to stick with plain yogurt, as the flavored types contain a lot of sugar, as are the so-called “low fat” versions of yogurt. You can flavor yogurt and cottage cheese yourself with a few berries and nuts. Avocados are truly “superfood.” They are high in important vitamins and minerals, including potassium. According to a study, avocados are also believed to help lower cholesterol by 22 percent. Loaded with nutrients and delicious taste, avocados only have 2 grams of net carbohydrates. Use them in salads and sandwiches. The keto diet lets you eat plenty of meat. Meat contains very few carbs and is high in protein to help you build muscles. Whenever possible, choose healthy, grass-fed meats, which are higher in fatty acids. Also, choose the fattier cuts of meat and poultry. Eggs are high in protein and contain a mere 1 gram of carbohydrates. 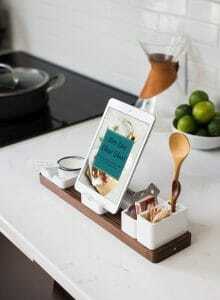 As they are also inexpensive, they are ideal for anyone on a ketogenic diet. Eggs also make you feel full, thereby helping you eat less. Many people take pride in only consuming the whites of eggs, but the true nutrition lies in the yolk, so be sure to eat the egg in its entirety. Did you know that dark chocolate has a high amount of antioxidants? As a matter of fact, dark chocolate is reaching superfood status. Chocolate with 80 percent or higher real cocoa powder can lower your blood pressure. An ounce of 80 percent dark chocolate contains 10 grams of carbohydrates, so it definitely counts as a healthy snack. Keep in mind the lower of cocoa content, the less healthy the chocolate will be. Milk chocolate does not count as a healthy chocolate. 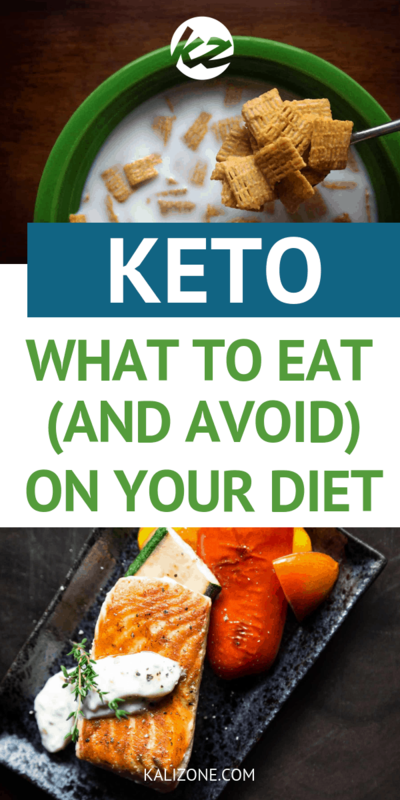 The keto diet has a lot less restricted foods than many other diets. Sugar, of course, should be avoided. That doesn’t mean you can’t enjoy sweet desserts. There are many keto-friendly recipes that substitute low-carb sweeteners for sugar in baked goods. Not all sweeteners are suitable, however. Stevia and erythritol are your best options. Keep in mind that fruits contain a lot of nutrients and fibre, they do also contain a great deal of sugar. You don’t have to avoid fruit entirely – berries are quite low in sugar, and so are a popular option on the keto diet. Fruit juices are concentrates that have vitamins but lack fiber. And their sugar content is extremely high. These should be avoided entirely. Be careful with cereals and granolas. Most are packed with sugar and robbed of any nutrients. Many will claim “nutrition added” but all that means is that all nutrition has been removed and replaced with a small amount, and a whole lot of sugar for taste. Low carb granola will fit into your keto diet, and you can sweeten it with a handful of berries. If you are purchasing pre-made versions, just be sure to examine all labels. They can be very tricky. Also, remember that honey, too, is considered as sugar. Totally omit white starches from your diet. They are nothing but empty calories. This includes white bread, pasta, and rice. Legumes and beans are healthy, but they are high in carbohydrates. If you really want to include them, you can have black beans or pinto beans occasionally; just make sure you keep it within your daily 20 – 50 carb-gram count. Alcohol in general stalls weight loss. This is because the fat burning process is disrupted – possibly because the liver focuses on processing the alcohol. This doesn’t mean you have to completely eliminate all alcoholic drinks, though there are certain drinks that should be cut out entirely. Beer is generally filled with carbs. Avoid standard and craft beers. If you are really craving a a beer, choose a light version – these are often lower in carbs. Be careful with wine. There are variances in different types wine. Dry wines contain a minimum amount of sugar, while sweet dessert wines contain much more. Pure alcohol such as whiskey and vodka are carb-free, but the problem often comes with what the liquors are mixed with. Avoid cocktails – these are usually filled with sugar. Wine coolers may be a tasty treat, but in reality, they are just sugary sodas with some added alcohol. 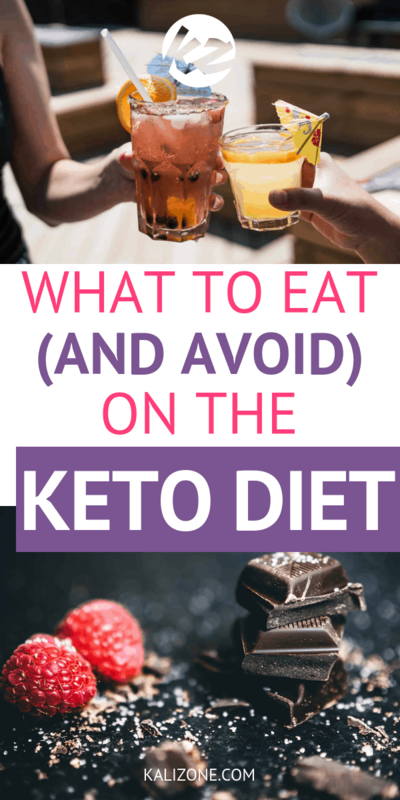 They should definitely not be on your keto diet at any time. 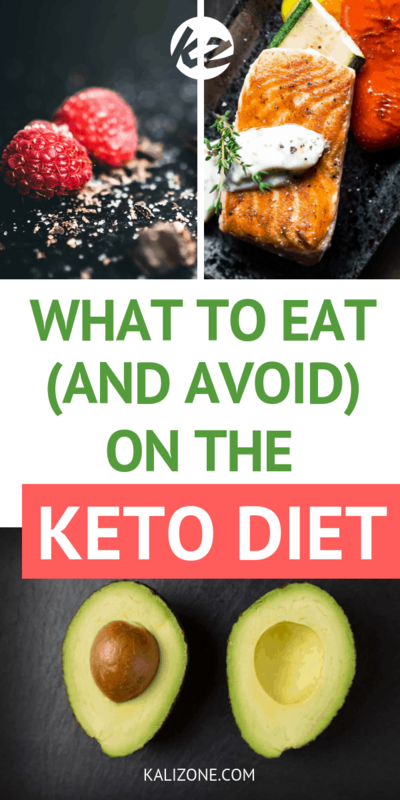 Did you enjoy What To Eat (and Avoid) on the Keto Diet?